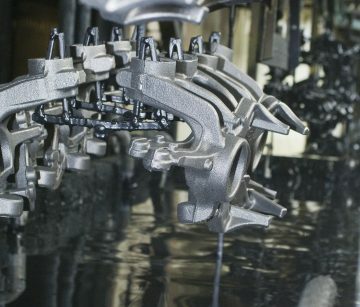 Cataphoretic immersion lacquering (KTL) KTL (Cataphoretic)-immersion laquering: precise and reliable coating for complex structures. 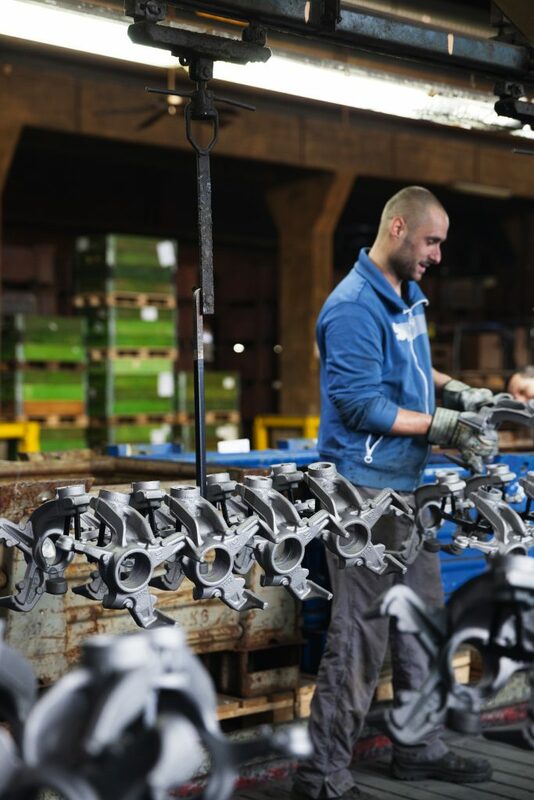 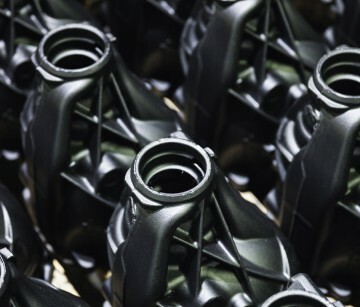 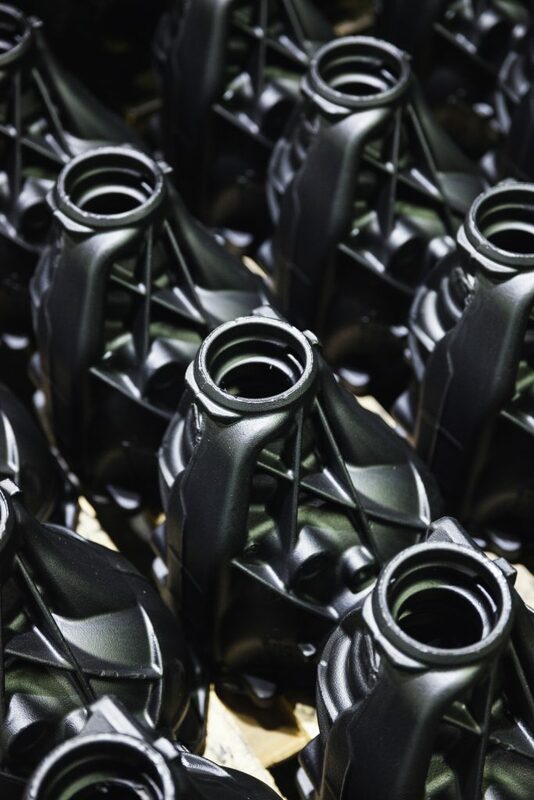 At our locations in North-Rhine Westphalia, our customers benefit from the high-precision coating of even the most challenging strucures in large volumes by four of the most cutting-edge systems for cataphoretic immersion laquering (KTL), able to process parts weighing up to 1,000 kg. 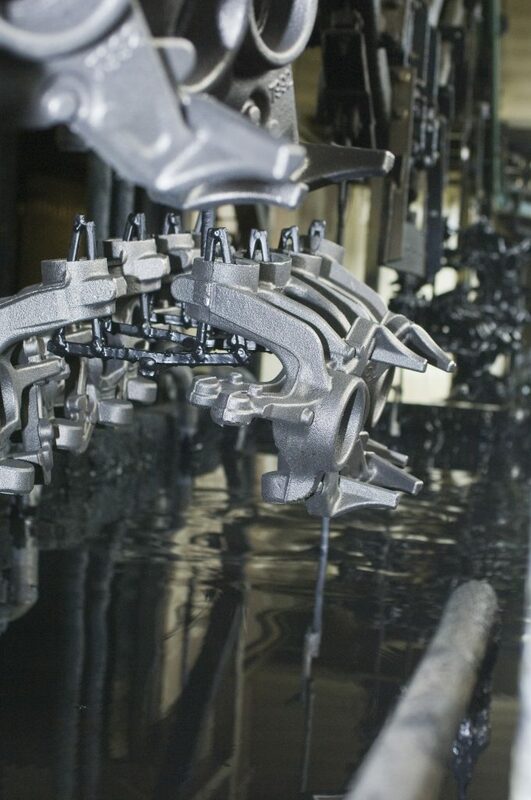 During the KTL process, materials are immersed and electrochemically coated. 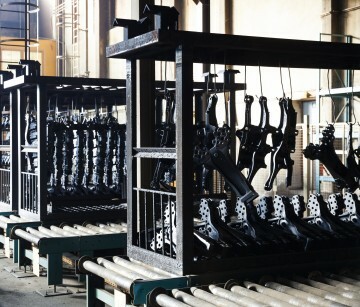 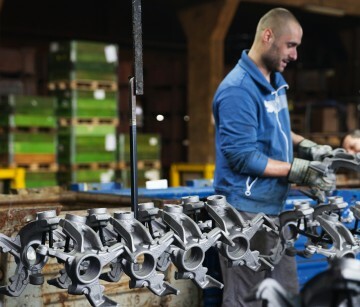 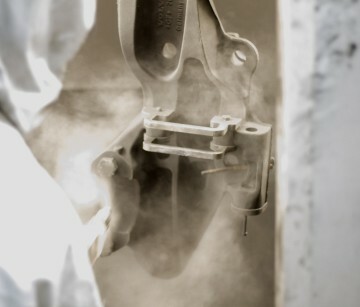 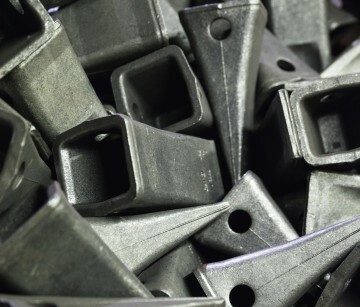 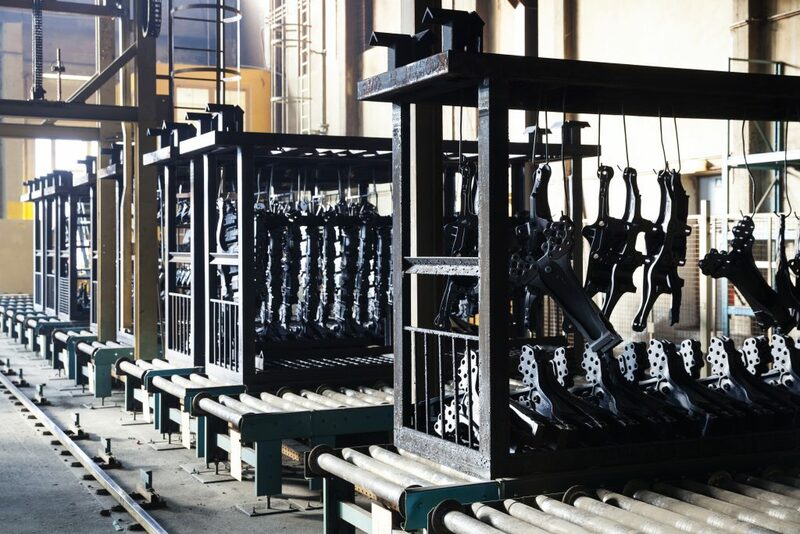 Even heavy cast or forged components of the most varied form and structure, and in large volumes, recieve reliable, uniform, long-lasting corrosion protection through various cleaning, preparatory and coating processing stages: from degreasing to activation, zinc phosphating, and rinsing in ionized water, to KTL-coating. 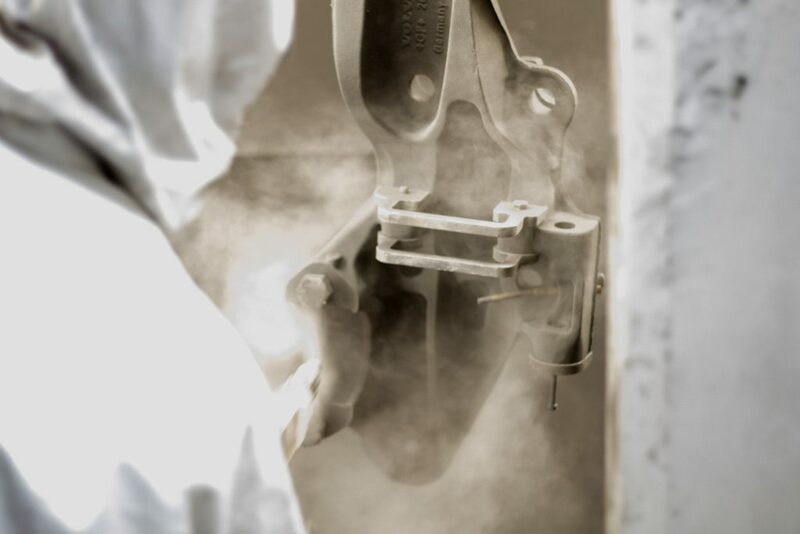 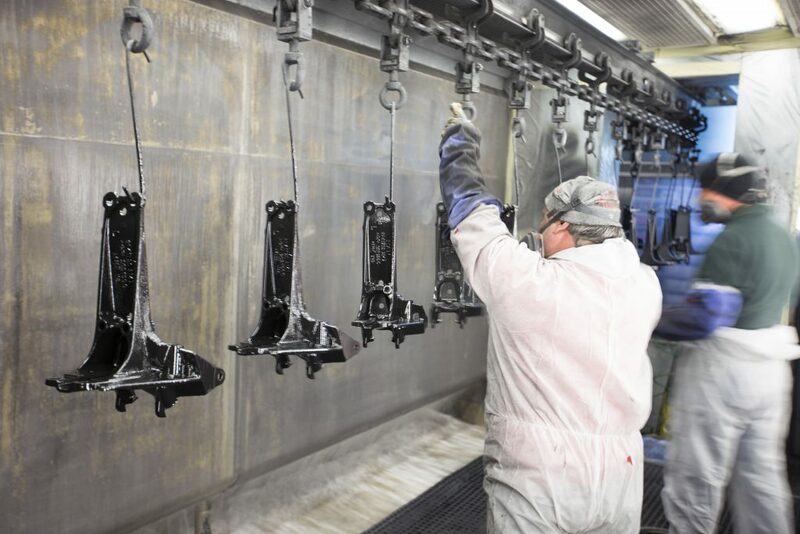 Dipcoat priming Coating individual parts and small-run batches simply and reliably. 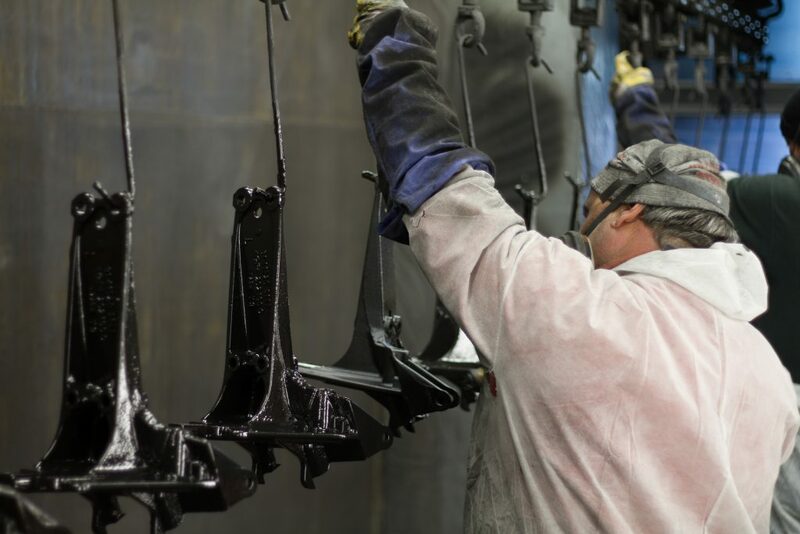 During dipcoat priming, the individual parts are coating through immersion in a paint dip conforming to client specifications. 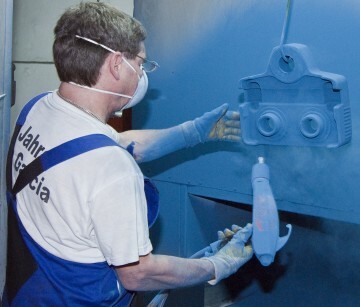 Immersion in two different vats strengthens the opacity of the coating. 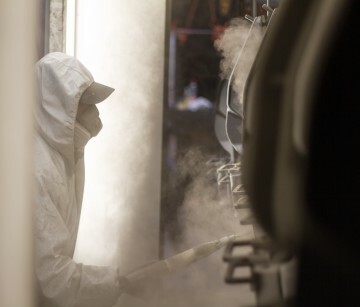 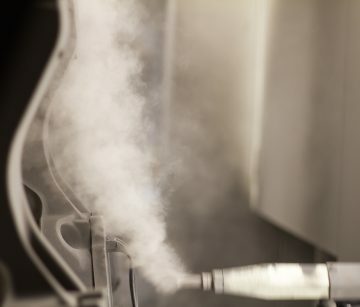 Passing through a hot and cold chamber provides for rapid and thorough drying of the coating layers. 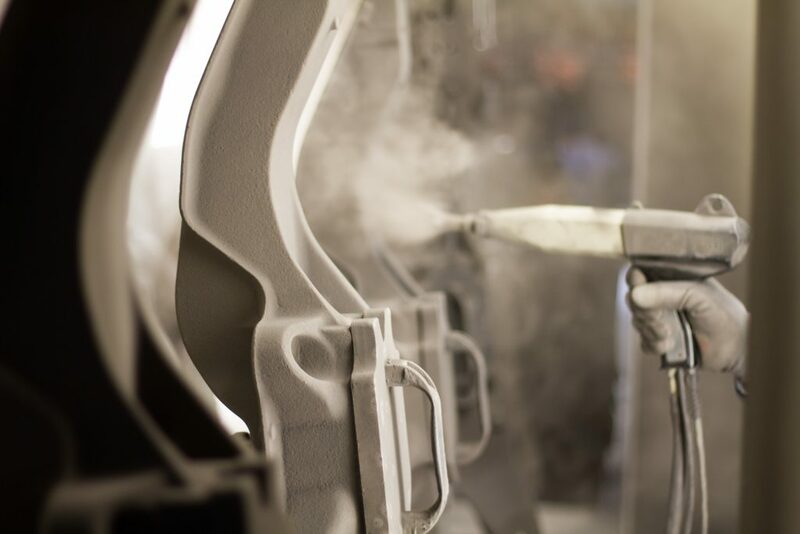 Since, unlike with KTL, the immersion coating or primer is not applied through an electrochemical process but rather by classic mechanical and thermal means, the process can be applied to large-scale parts with complex forms and structures. 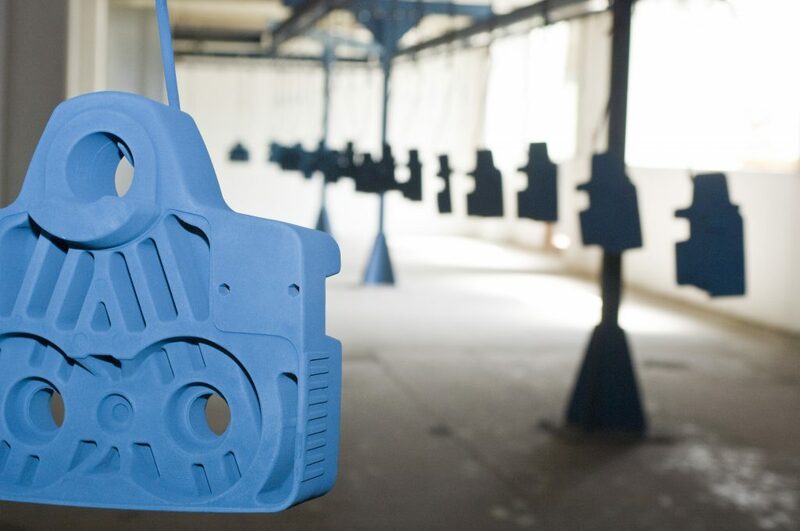 However, it does not achieve the precision and homogenity required by a larger volume of parts. 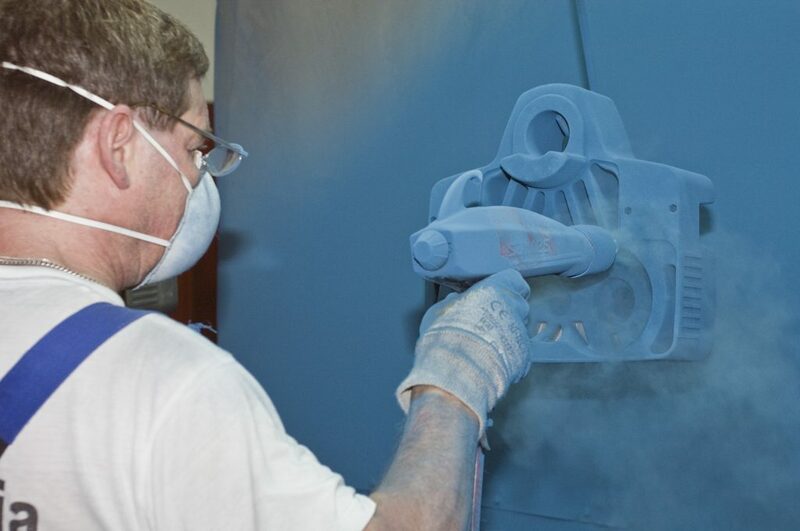 With our dipcoat system, we coat and finish around eigth million pieces per year. 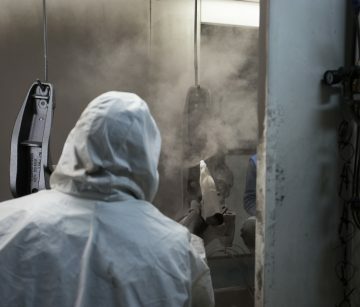 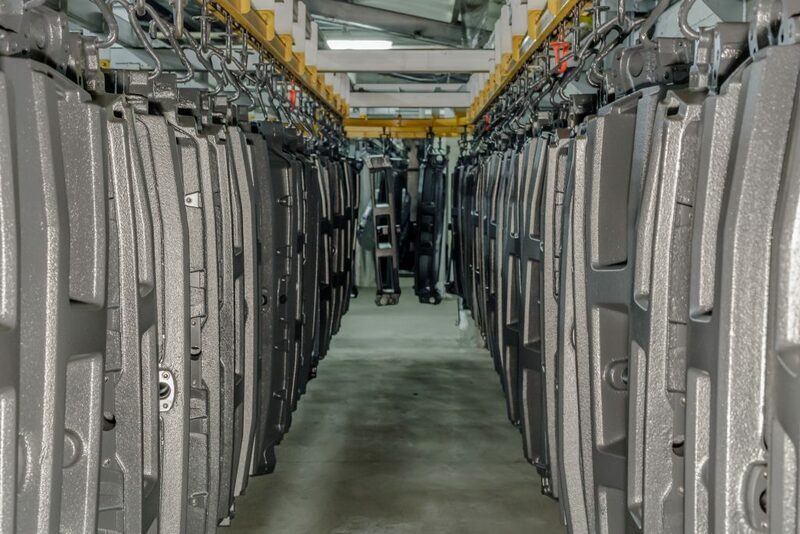 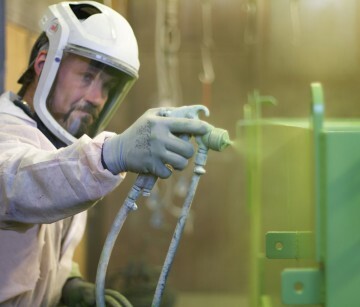 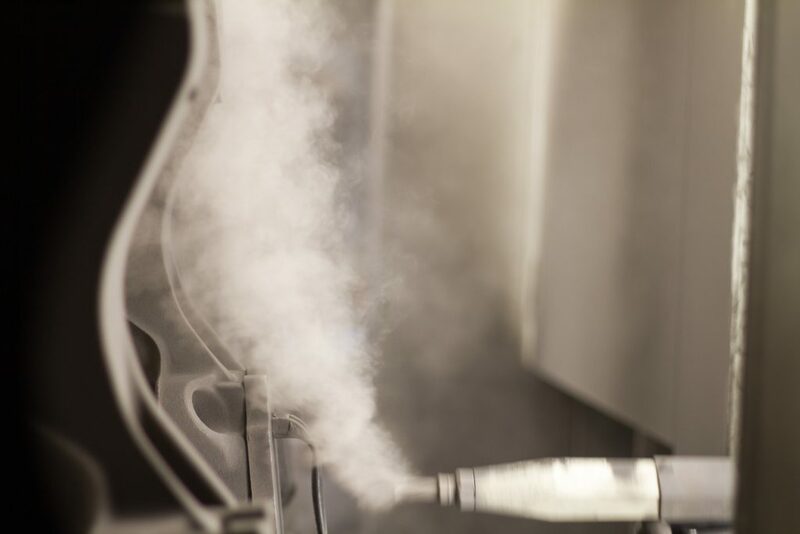 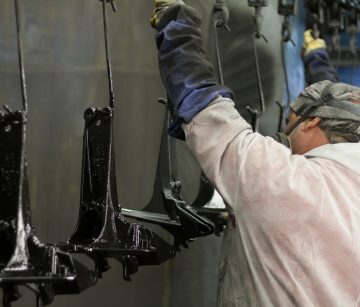 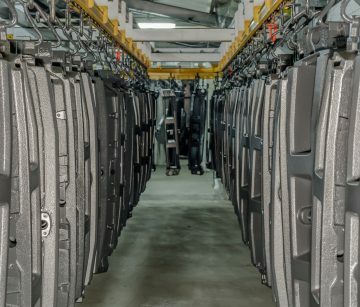 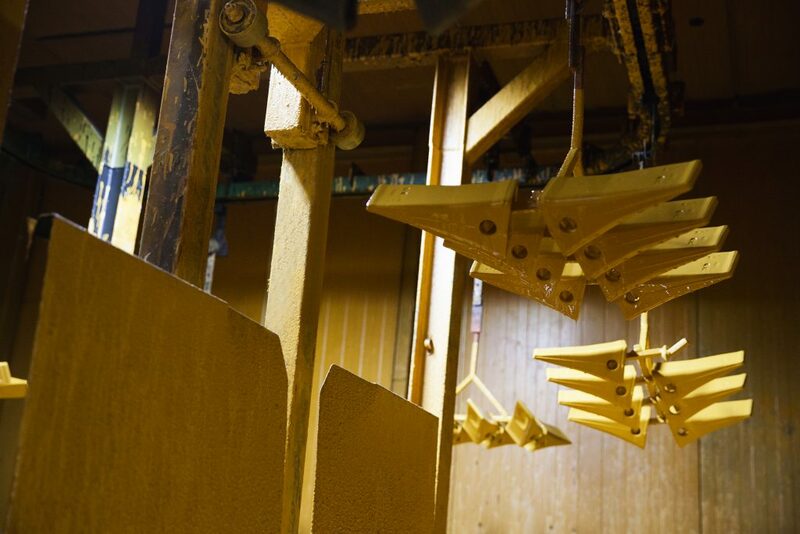 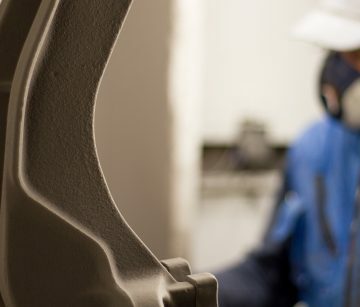 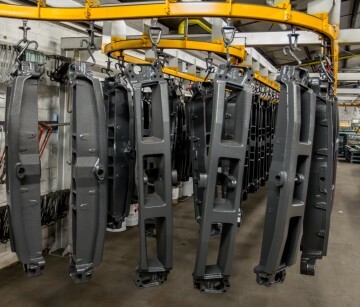 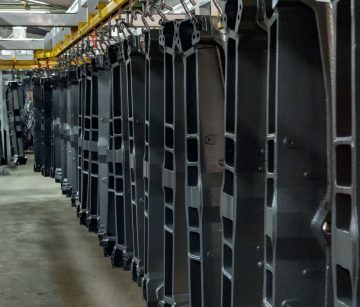 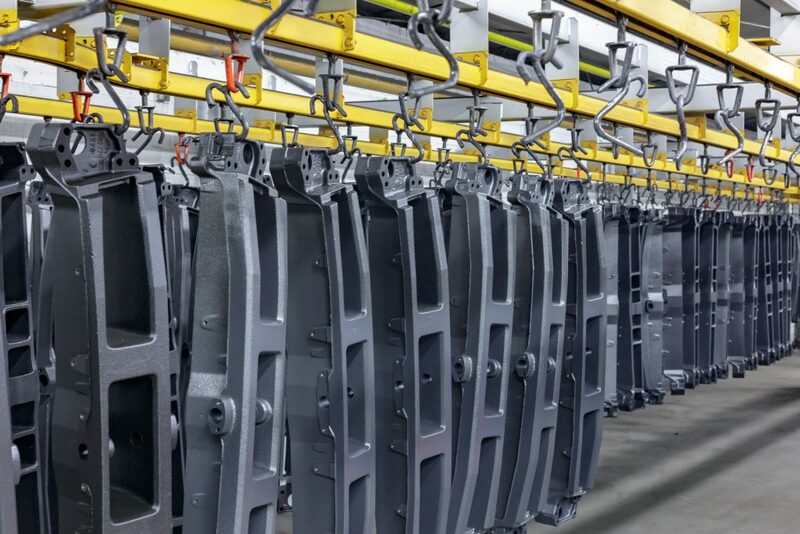 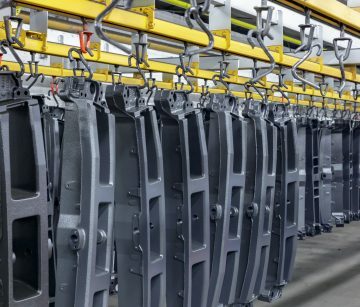 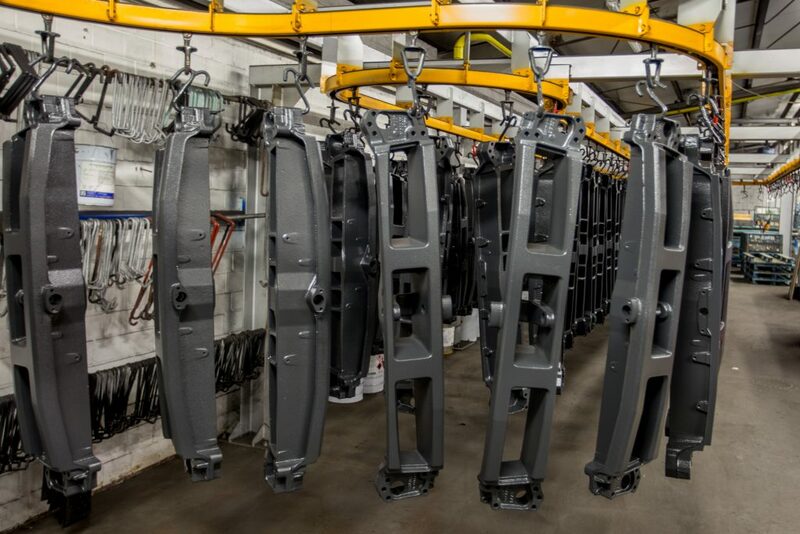 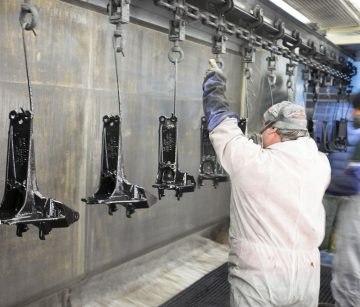 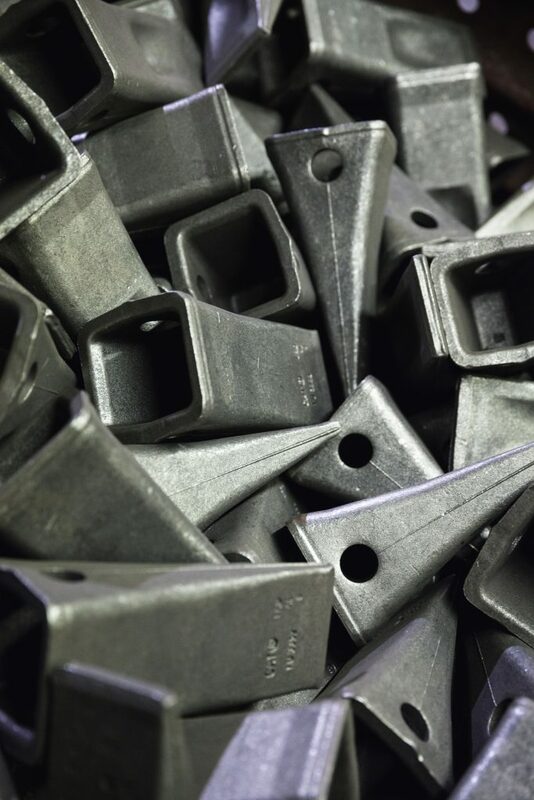 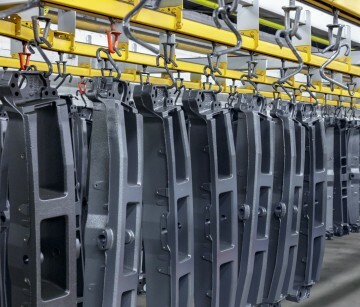 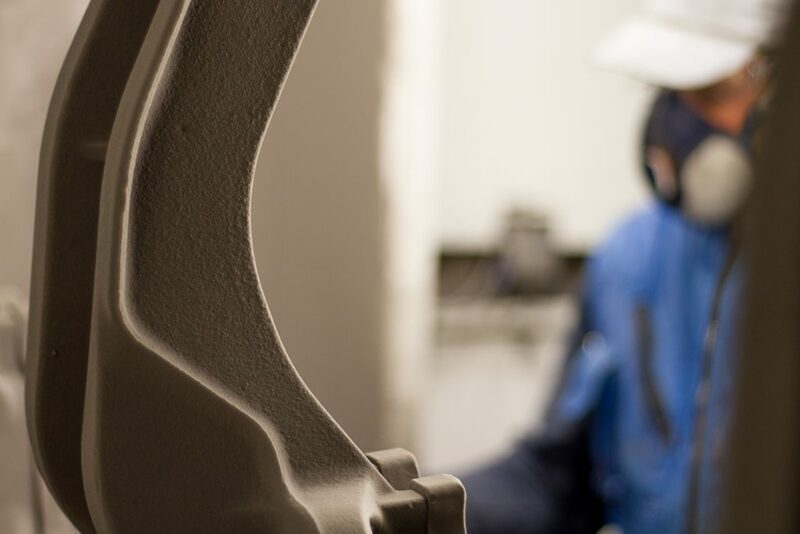 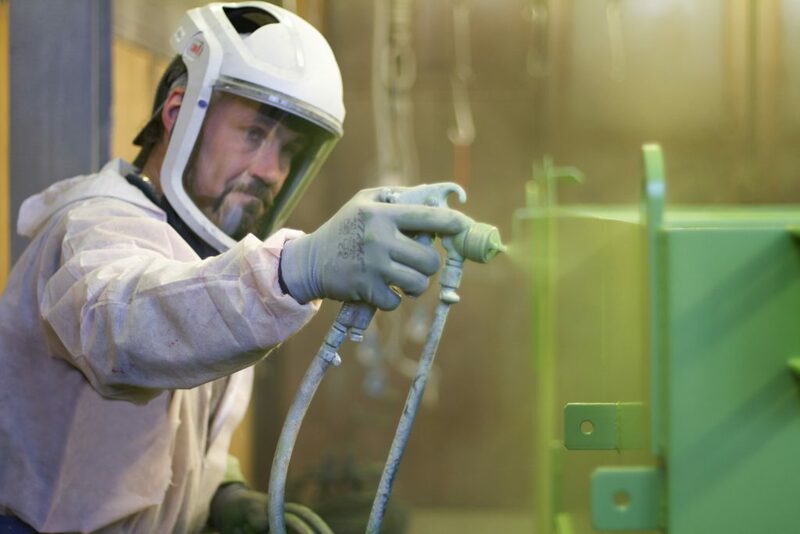 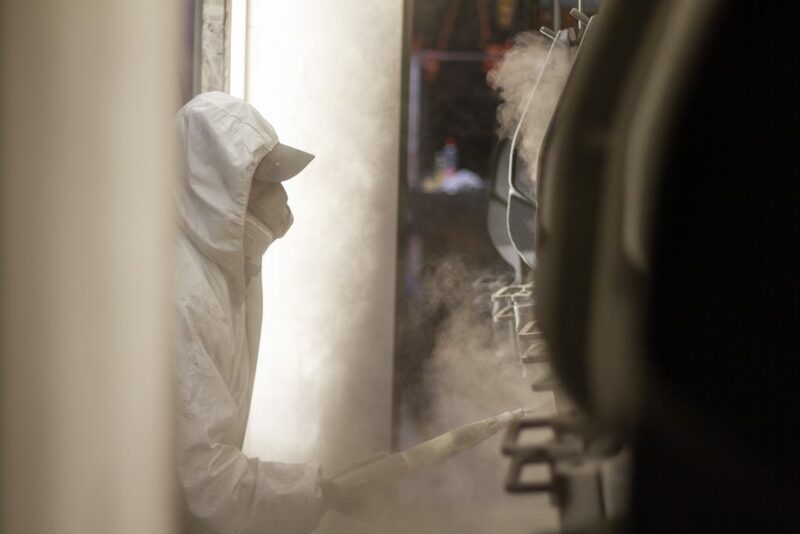 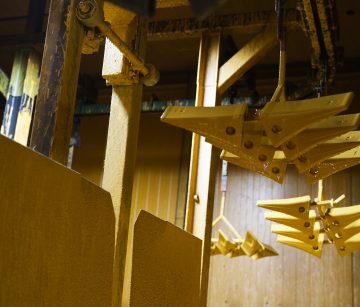 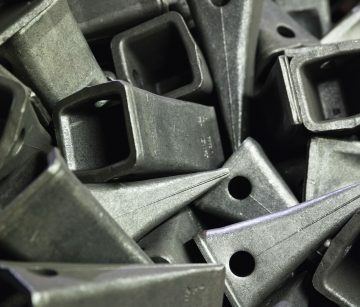 For the powder coating of parts weighing 0.1 to 70 kg in every possible color, each of our four production locations offers automated booths, as well as manual coating. 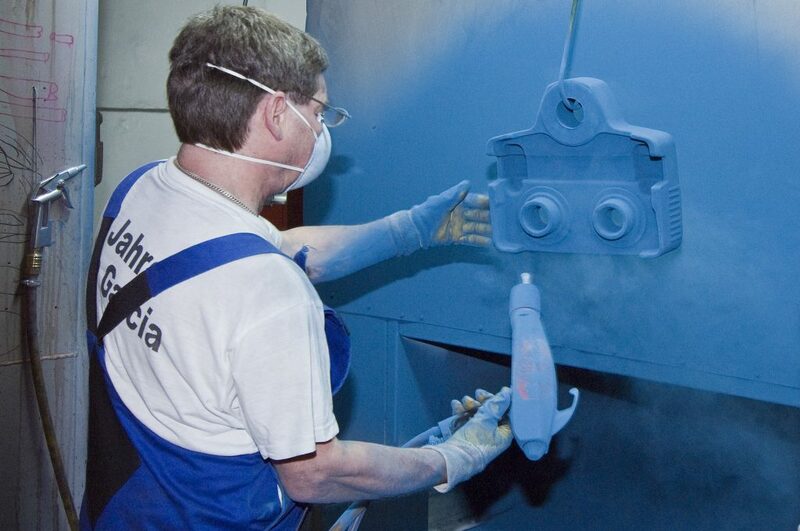 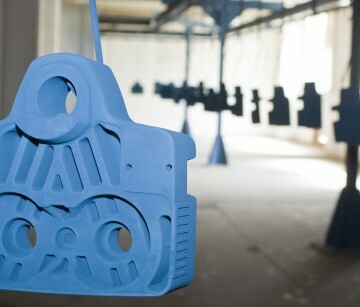 Following color application, the pieces are fired in a firing chamber at object temperatures between 170°C and 230°C. 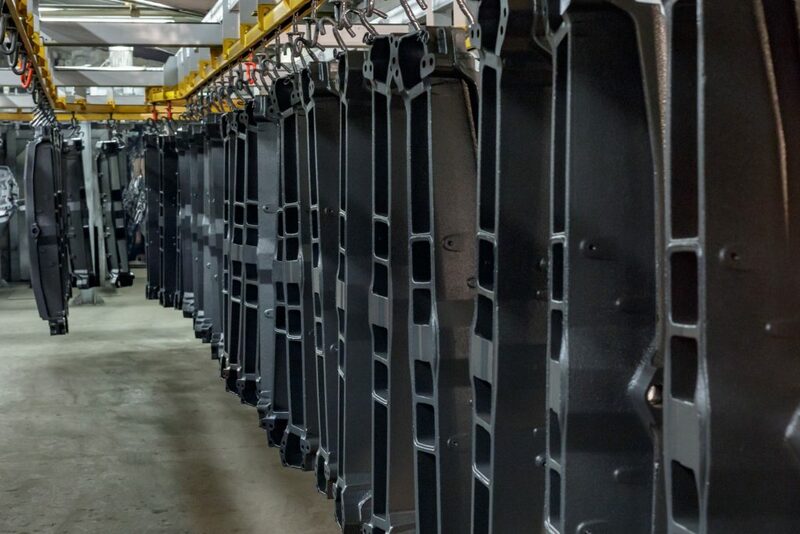 This guarantess even coverage and density. 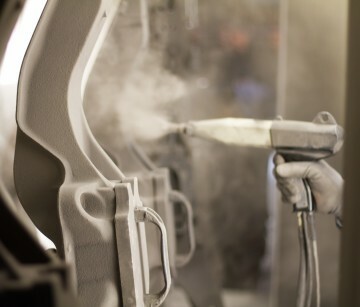 Spray coating Precise coating of smaller parts and series. 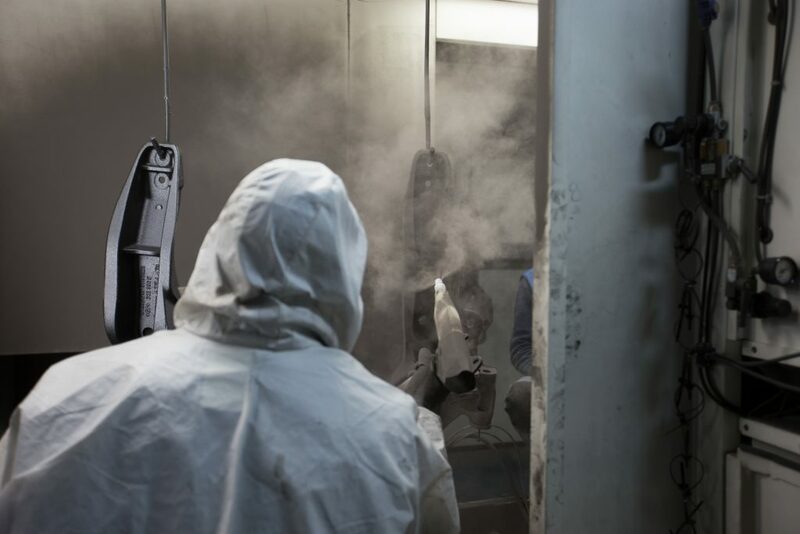 In our manual spray booths, we coat smaller parts, small batches and complex structures but also large surfaces evenly and very precisely. 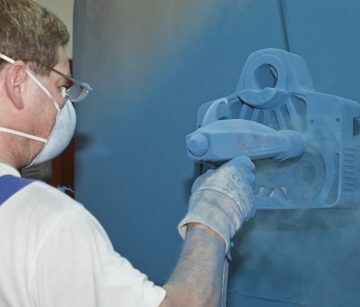 We offer the production of customized cover.